May was a great month for my Artist Dates, but tough for my Morning Pages. In the previous chapter of The Artist’s Way, you were challenged to stretch your Artist Dates out a little. So, when my husband had a business trip to Florida, I jumped at the opportunity (something that I have passed on for the last two years). I have been excited to explore new territory & it had been too long since I took a break. I took the month off from lots of stuff, and unfortunately, I also let my Morning Pages slide. By the end of the month, I felt really out of sorts and that could have been a contributing factor. 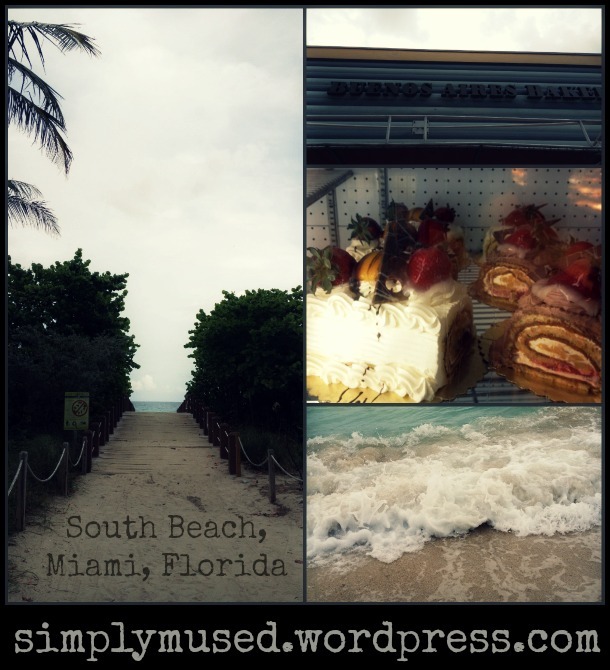 Fort Lauderdale and Miami are favorite spots for my husband & I, so going back would be good for couple time, yet when he would be at all of his business stuff, I would have time for adventures of my own. With the reading deprivation exercise of April, I couldn’t wait to get my hands on a book. 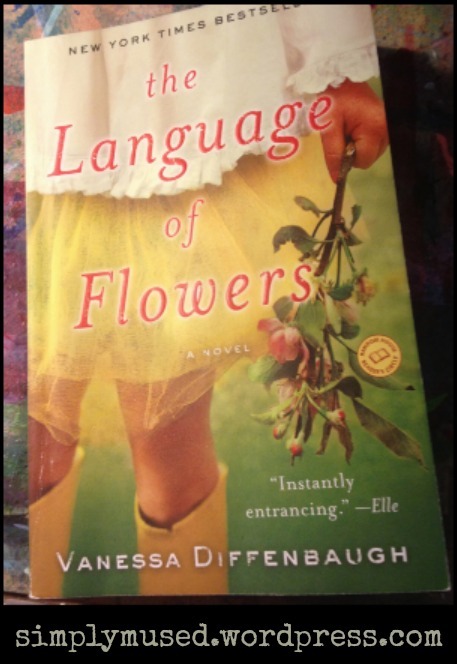 I found The Language of Flowers by Vanessa Diffenbaugh at the airport prior to departure and blazed though it by the next morning. The whole trip was magical & I felt tuned into beauty where ever I went. On the plane, even though I couldn’t sit next to husband (due to our boarding order and limited seating left), I sat by a chatty lady who reminded me of a book character in the making. While in Florida, I limited my internet time and spent the majority of my time soaking up the sun and relaxing (that is, when it wasn’t pouring rain and storming). The up and down weather amazed me because one minute it was 90 degrees and the next you were receiving tornado or flash flood warnings. The tropical climate with its distinctive personality draws me back again and again. I came back refreshed and feeling creative. As we landed back in Portland, Belinda Underwood, a beautiful, young musician was playing folk music in the airport and I bought both of her available albums as souvenirs of the trip. This entry was posted in Artist's Date, I'm Doing The Artist's Way in 2013, Morning Pages and tagged creativity, Morning Pages, renewal, the artist's date, travel. Bookmark the permalink. ❤ Thanks Belinda for stopping in. You can count on me to follow your music. I appreciate the heads up!